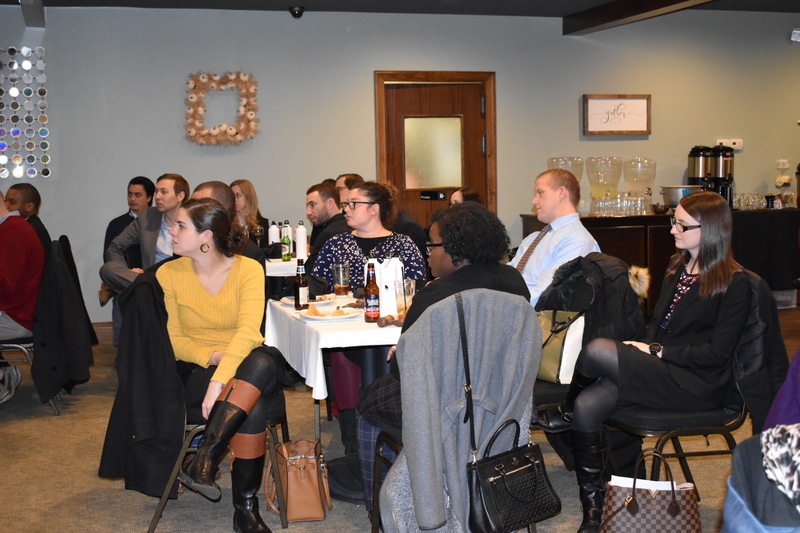 The MSBA Young Lawyers Section hosted its Fall Open Meeting on November 14, 2018, at Kelsey’s Restaurant in Ellicott City, MD. Approximately 60 members of the bar and bench turned out for the event, which included a panel discussion on the delicate balance of “Life and Practice”. Panelists Maryland Court of Special Appeals Judge Michael Reed, Judge Lisa Broten, Judge Lisa Hall-Johnson, and Regine Francois discussed their own experiences and the tools they use to find balance in their lives.